When I reach the door to our room, I notice it’s open a crack. I stop and hold out my hand to Azael, silencing him. I press myself up against the cold, rocky wall and pull out the dagger from my belt. Az slides up next to me on the wall, brandishing his own weapon, and nods. I peek through the crack and see a shadow shift across the room, long and thin. I can’t see. You didn’t let anyone—? Why would I let someone in our room? A few seconds pass, and I hear the clinking sound of the vials in Azael’s nightstand roll into one another. They’re touching my stuff! He goes to push around me, but I hold him back with my arm, pinning him against the wall. Shut up and wait a second. I lean closer to the door, training my ears to pick up the muffled sound of shuffling footsteps. There’s a soft padding of rubber soles on ice just on the other side of the door, and I hold up three fingers for Az. Ready? He nods and tightens his grip on his scythe. I spin my blade around in my palm, readjusting my hold, and lower one finger, then two. Now! Together, we throw our weight into the door, knocking over whomever waits on the other side for us. They go sliding across the ground and slam into the wall at the foot of Azael’s bed. As I charge forward, I notice it’s a man with dark, unkempt hair, dressed plainly in black clothes. Before he can even raise his head to see us, we descend on him. I pin down his chest with my knee, shifting my weight into his ribs and holding my dagger to his throat as Azael steps on his arms, stopping them from scrabbling for purchase of something he could use as a weapon. “Give us a name and we’ll consider it,” I answer him, glancing at Azael. “I see you two will be even more difficult than I was made aware.” The man tosses his head back, throwing the hair away from his face. He’s younger than I would have guessed him to be, based on his height and posture. He has a mess of scruff across his narrow, pointed jaw and high cheekbones that give his face a sunken look. I notice his bright violet eyes and remember I’m staring back at him with similar ones. Violent violet—the hue of the damned. Erica Crouch is from the always colorful city of Baltimore. Currently, she is studying English and Creative Writing with a specialization in Fiction at Southern New Hampshire University. She is the cofounder and head of editorial services at Patchwork Press. Her debut novel, Ignite, was published June 2013. 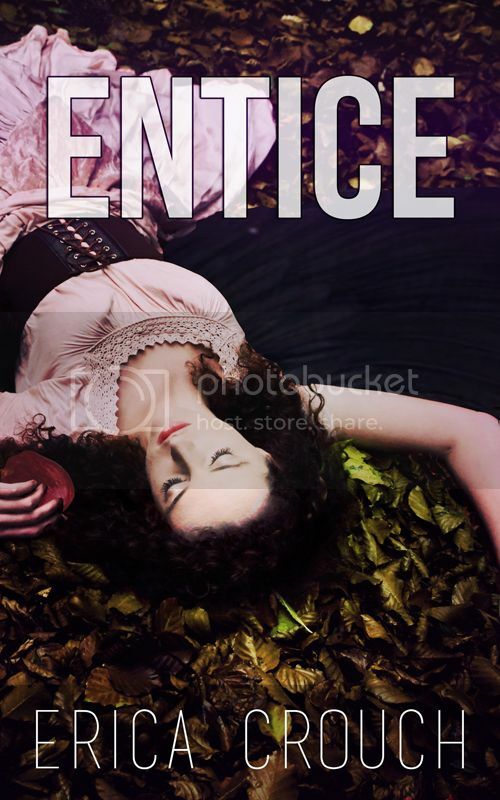 The e-novella sequel, Entice, is due November 2013, and the last book in the series, Incite, is expected Spring of 2014. Along with the YA series Ignite, she is working on publishing a New Adult series, titled the Undying series, with the first installment, Cut, due 2014. When Erica isn’t writing, she’s reading an overwhelming stack of books, watching an obscene amount of Netflix, and procrastinating.